Irving, Texas-based Caris Life Sciences has been making biotech headlines all week on BioNews Texas as part of their leading role in this year’s 2014 Gastrointestinal Cancers Symposium, which was held January 16-18. Caris’s ISO 15189 Medical Laboratory Accredited Caris Molecular Intelligence™ technology was an integral part of two studies presented at the symposium. 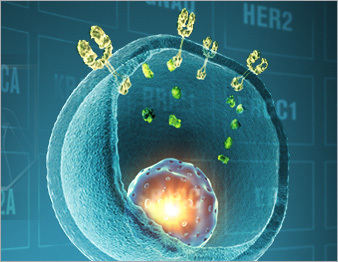 Caris Molecular Intelligence™ is a world-class tumor profiling technology recently profiled in another one of my news articles here on BioNews Texas. The first study, presented by Igo Astsaturov, M.D., of Fox Chase Cancer Center, profiled 1,250 neuroendocrine tumors with the goal of providing insights into how to match the appropriate drug target to an individual’s cancer type. By studying this rare tumor type, the researchers found clinically relevant gene and protein alterations in 90% of the patient cohort, which guided the choice of treatment for their cancer type. In one of the patients, just one protein alteration was enough to identify a possible treatment, demonstrating the power of Caris Molecular Intelligence™. Findings such as these show promise for patients with cancers without well-established treatments and will lead to future clinical trials. The second study, presented by Erkut Borazanci, M.D., of Translational Genomics Research Institute — Virginia G Piper Cancer Center, resulted in another step toward personalized cancer treatment. In 99% of the patients being studied with appendiceal cancer, low expression of thymidine synthatase was found. This indicated to researchers that neo-adjuvant treatment with 5FU/capecitabine, a chemotherapy agent already used in patients with metastatic colorectal or breast cancer that inhibits DNA synthesis in tumors, may be beneficial to patients with appendiceal cancer.